Trike conversions are growing in popularity for experienced riders looking for a little more comfort and room on longer rides. Trikes are a good alternative to a standard motorcycle for riders who need a little more safety and stability to allow them to keep riding. Poppa Bear Custom Cycles has the experience you need to convert your bike into a trike. Suspension Packages Everything you need to convert to a trike for one low cost. Upgrade packages with many available accessories. Tiltster Unlike other trike conversion kits, this trike kit “tilts” into turns just like a two wheeled motorcycle does. Do It Yourself We order trike conversion kits for you folks who like to get your hands dirty and know your way around a motorcycle. Of course, we are always available if you need assistance once you get started. 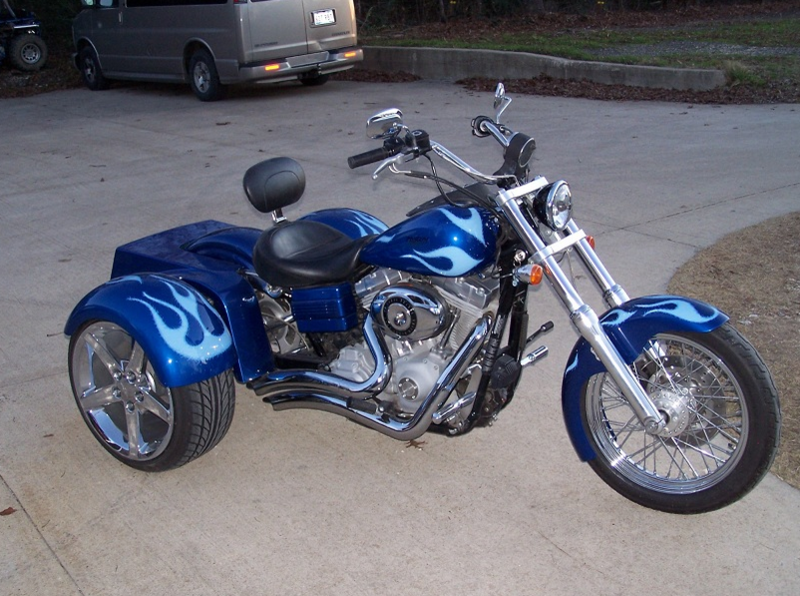 Contact us today at 410-937-3766 to get started on your trike conversion. Don’t stop riding… Trike it!